We offer wide variety of Pedal Bin. TheseTrash bins are available in 7 litre & 12 litre capacity. It's unique design allows easy handling of the product at distributor & wholesale level. It requires less warehousing space as compared to similar size products of other manufacturers. 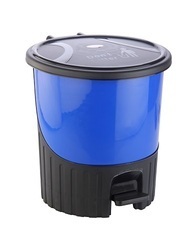 240 Ltrs Wastebins are available at very low price and different colours. The new corporate look of waste bins are aesthetically designed for "keep it clean" slogan. These are available in the following sizes. We are instrumental in offering greatest and unsuppressed range of Paddle Bins. S.S. Paddle Dustbins are used in pharma laboratories & Clean rooms. Provided with lid & paddle for easy opening of the lid. These are custome made as per client's requirement & available in different sizes. 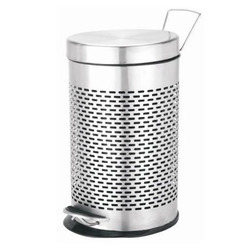 Godskitchen’s SS Pedal Dustbin is made of high quality stainless steel along with excellent finishing. It is extremely durable and safe from rusting.